Pull apart cupcakes cake of chocolate cupcake with Nutella filling, buttercream frosting and sugar fondant. 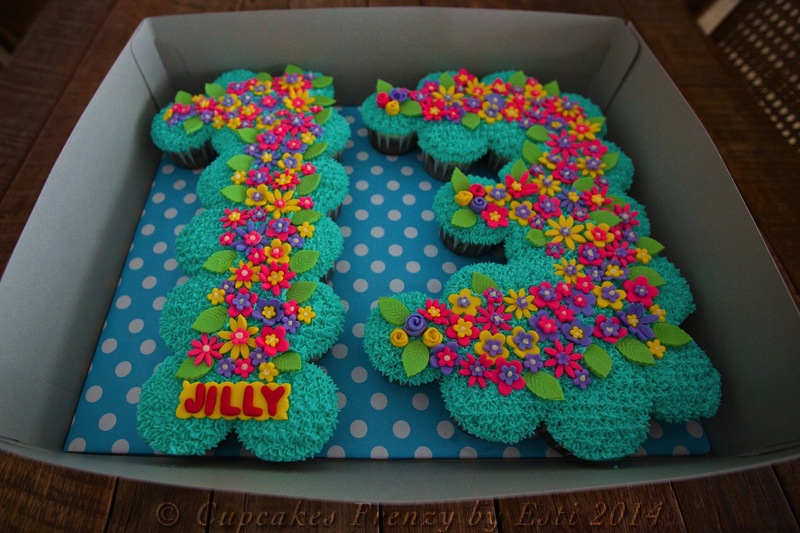 Birthday girl favourite colours were Tiffany blue, pink yellow and purple hence the fantastic combination. 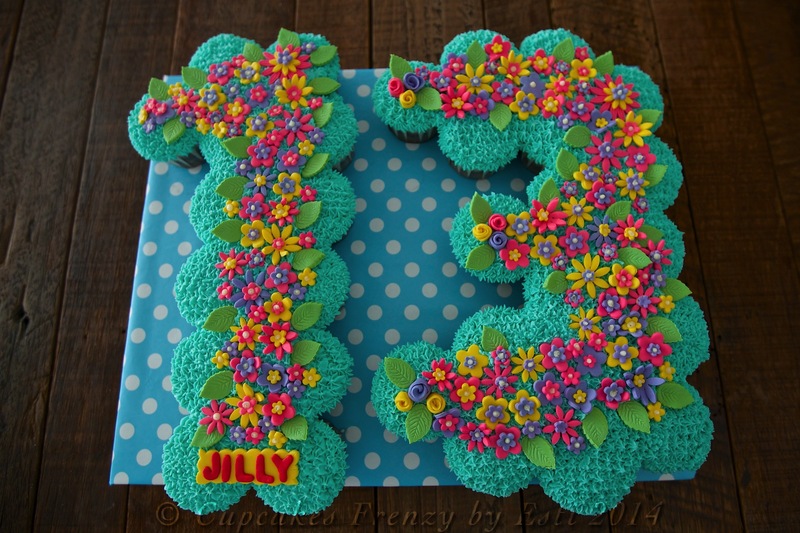 Her mum said the now officially teenager wants a big number 13 cupcakes cake with lots of flowers on it, request granted. 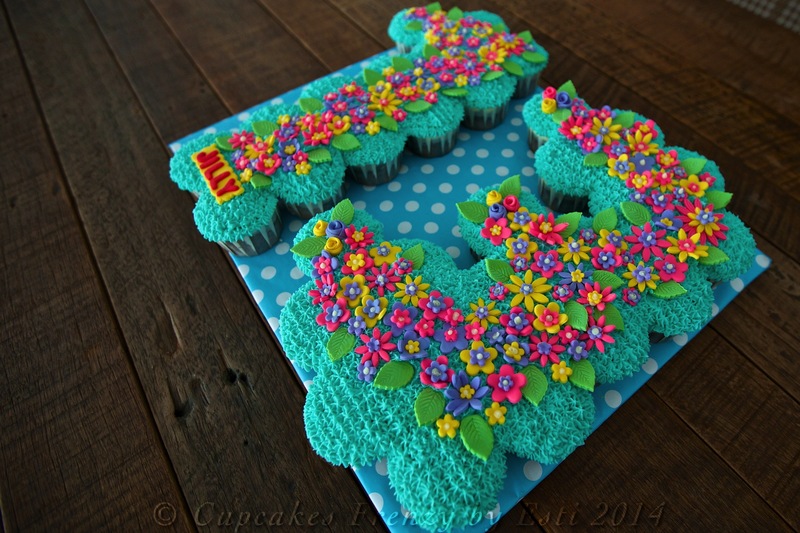 I bought loads of new floral cutter in Singapore recently, it’s fun to try them all and experimenting with neon colours. This entry was posted in birthday, cameraholic, celebration, Cupcakes, favorite, Fondant, note from the baker and tagged 13th birthday, buttercream frosting, celebration cupcake, chocolate cupcake, cupcakes cake, edible art, Gift Ideas, lucky 13, Manila, number 13 cupcake, pull apart cupcakes cake. Bookmark the permalink.